Australia, without a doubt, has the world’s best beaches. Hyams Beach Jervis Bay has put Australia on the map having the ‘World’s Whitest Beach’. This was decided by Guinness World Records, so it’s official, Australia, does in fact have the World’s Whitest beach. I love Hyams, it’s a beautiful beach, however I don’t think it’s Australia’s best beach. 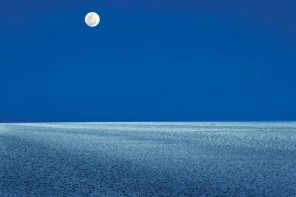 For Australia’s best beach, you will have to travel a little further. 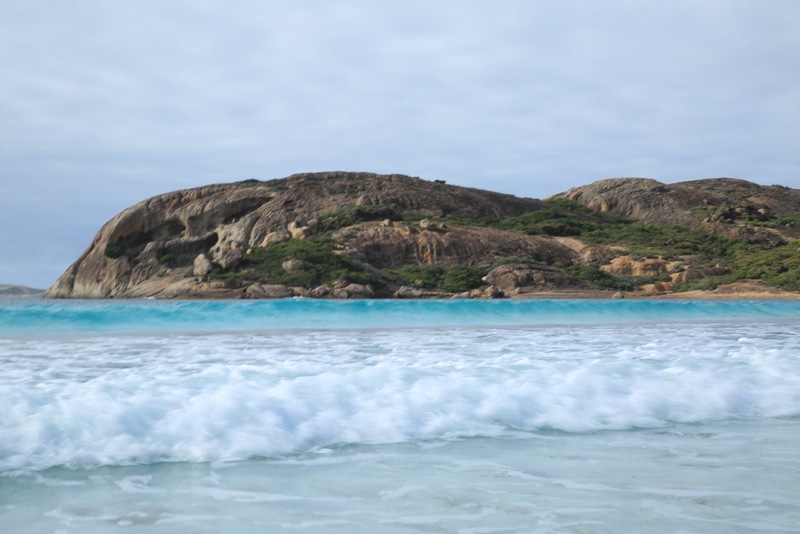 Eight Hours drive south, west of Perth, is the Goldfields-Esperance region of Western Australia, on the Southern Ocean coastline, home to the Australia’s best beach. 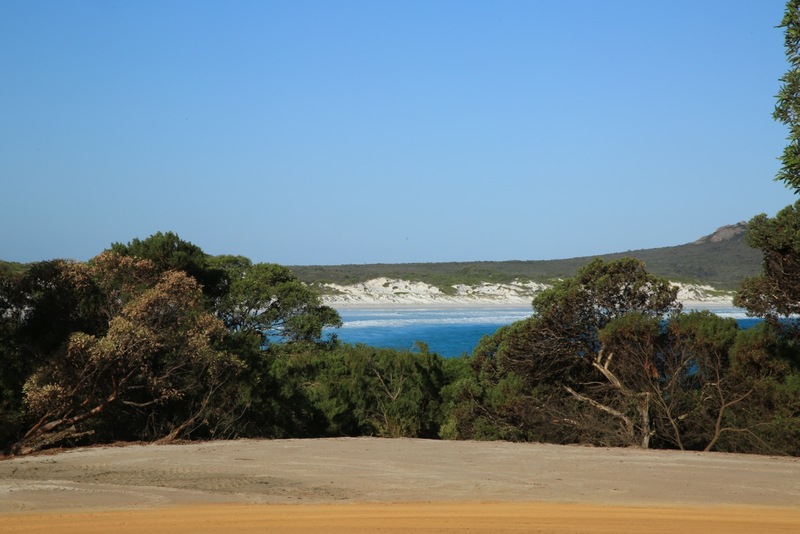 Another hour inland through one of Australia’s most beautiful National Parks, Cape Le Grand, is a bay with the world’s whitest beach. 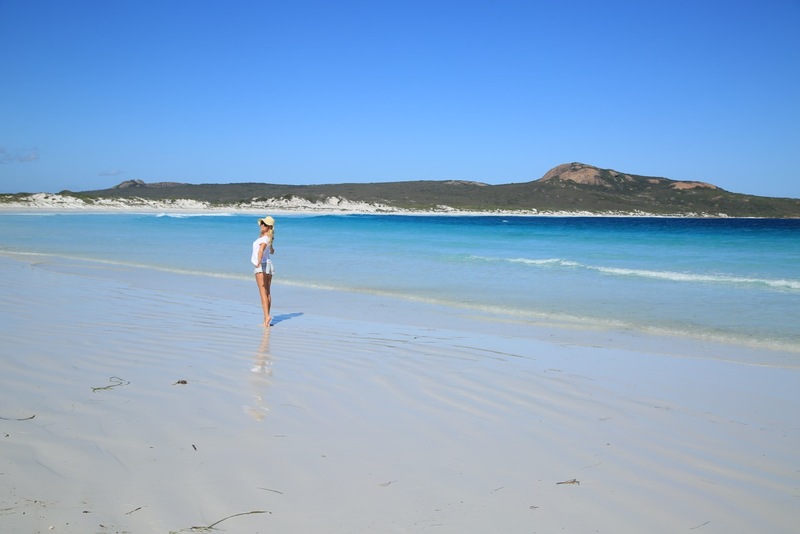 Many think Hyams Beach is the whitest, I have visited both and I can say from experience that Lucky Bay and Western Australia is home to the Australia’s best beach. 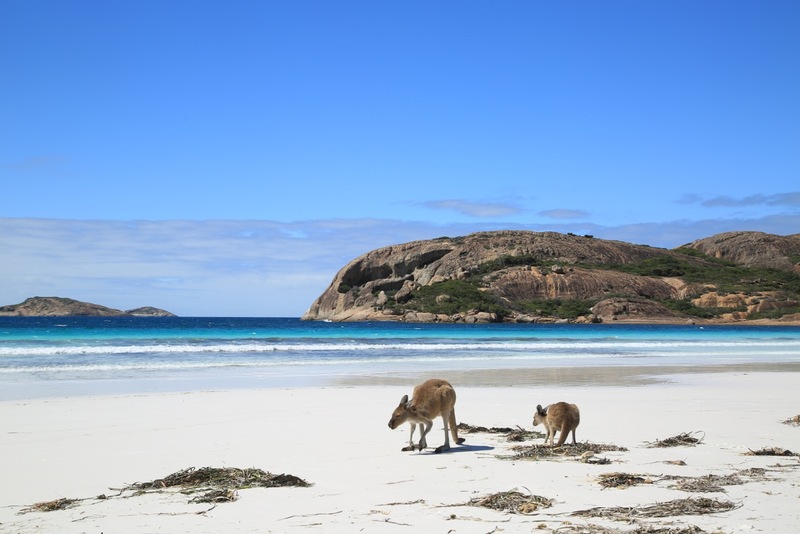 All of this beauty is one thing, however we visited Lucky Bay in Cape Le Grand National Park not just for the incredible beach, but for the wild Kangaroos. 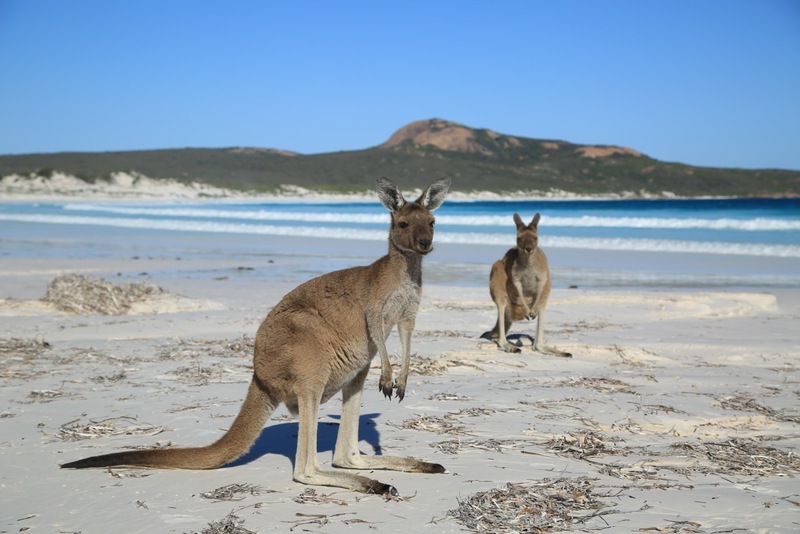 Lucky Bay is the only place on earth where wild kangaroos actually live on the beach. The kangaroos are very tame and very used to visitors so its not uncommon for them to curiously hop over to you and allow you to snap a picture. The kangaroos live there permanently, so you can visit anytime of the year. Best to visit in Summer-time when you can enjoy the turquoise ocean. Cape Le Grand offers hikes and camping overnight. Frenchman’s Peak is a popular trail that we walked up, 3km return. The track leads from the car park, up the gentle east slope of the peak, to the summit. Features great views over the Park. Allow 1.5-2 hours hard walking. Make sure to pack a water bottle and camera for the spectacular views once you arrive at the top. Lucky Bay campsite, usually in operation, comes complete with solar hot showers. 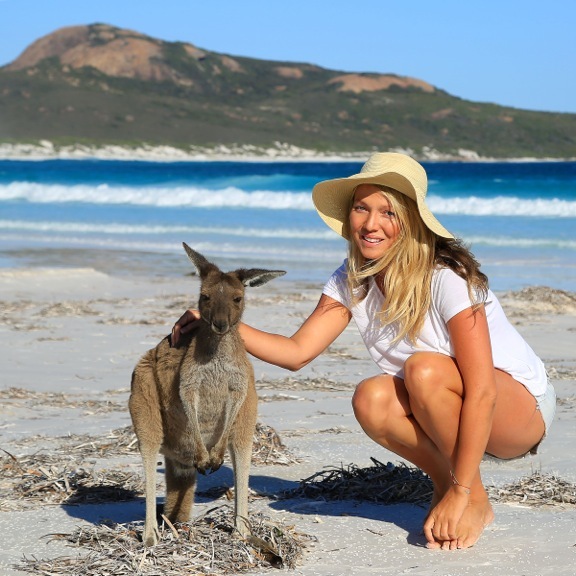 Just imagine waking up to crystal clear water, snow white sand and a kangaroo for company. We were unlucky this trip as the campsite was closed for renovations. We camped outside the National Park in the town of Esperance and drive back the 50km inside the National Park to spend the day there. We visited Lucky Bay in Esperance while filming the promo for Last on Earth a new TV series I’m co-producing about interacting with animals in their own environment – no cages, no zoos, no bars, just wild animal encounters in beautiful surroundings. I highly camping in the Luck Bay camping grounds, just make sure the site is opened first! When I went the camp ground were being updated. Check before you go to get the best experience and also save driving an hour each way back and forth to your campsite. I hope you enjoyed this post, images and video footage of one of Australia’s most spectacular National Parks, Cape Le Grand and the Australia’s best beach. Check my See Australia section for more travel tips on Australia.